Mark Barmes is a partner in the private client group of Lenz & Staehelin in Geneva. He advises individuals and trustees in all aspects of wealth planning in both international and domestic contexts. He particularly assists foreign private clients and trustees to establish themselves in Switzerland and to resolve disagreements. 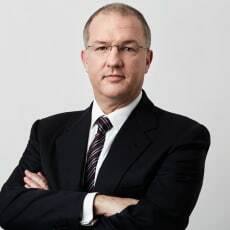 He is on the board of Swiss trustee companies and contributes actively in the field of wealth planning in Switzerland through membership and lecturing for the Society of Trust and Estate Practitioners (STEP) and as a member of the Regulation and Compliance Technical Committee of the Swiss Association of Trust Companies (SATC).